Matthew Steinborn & Thomas Allen-Lowe will be on January 26th, flying out to Las Vegas, NV to take their first steps on the Worlds Most Epic Trail. They begin their first leg of the journey on February 11th, at the southern terminus of the PCT in Campo, California. Then continue north over 7 months to the northern terminus near Manning park, Washington State. They will then turn around and head back south to nearly complete a yo-yo. Just east of San Francisco they will then change direction to head east along the American Discovery Trail going from coast to coast ending in the Delmarva Peninsula, Delaware. They will again be changing direction and for 3 months, head north to Mount Katahdin, Maine along the Appalachian Trail. Similarly with the PCT, they will then change direction and head back south, to the southern terminus of the Appalachian Trail in Springer Mountain, Georgia. 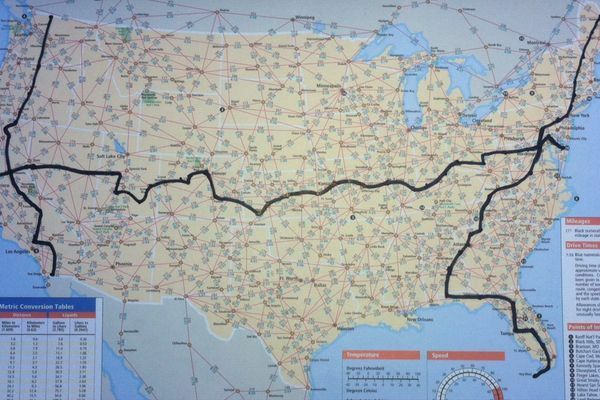 From Georgia they will continue down the Eastern Continental Trail and finish in Key West, Florida, which will be the final destination with a grand total of over 14,000+ Miles and 3 years on a single Thru-Hike of our beautiful country.